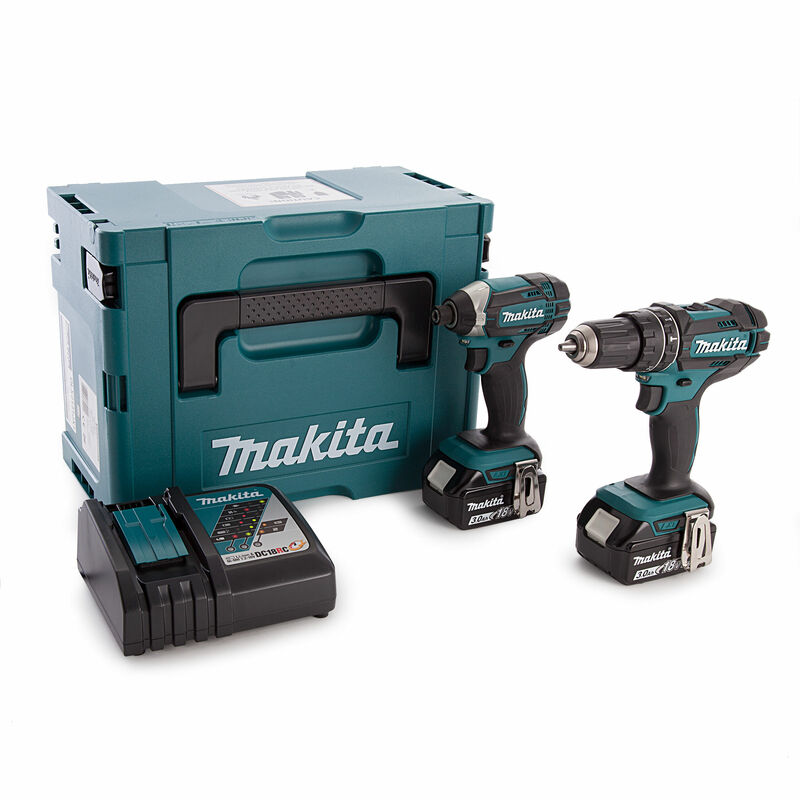 This great value 2 Piece LXT Kit from Makita has the DHP482 Combi Drill along with the DTD152 Impact Driver. 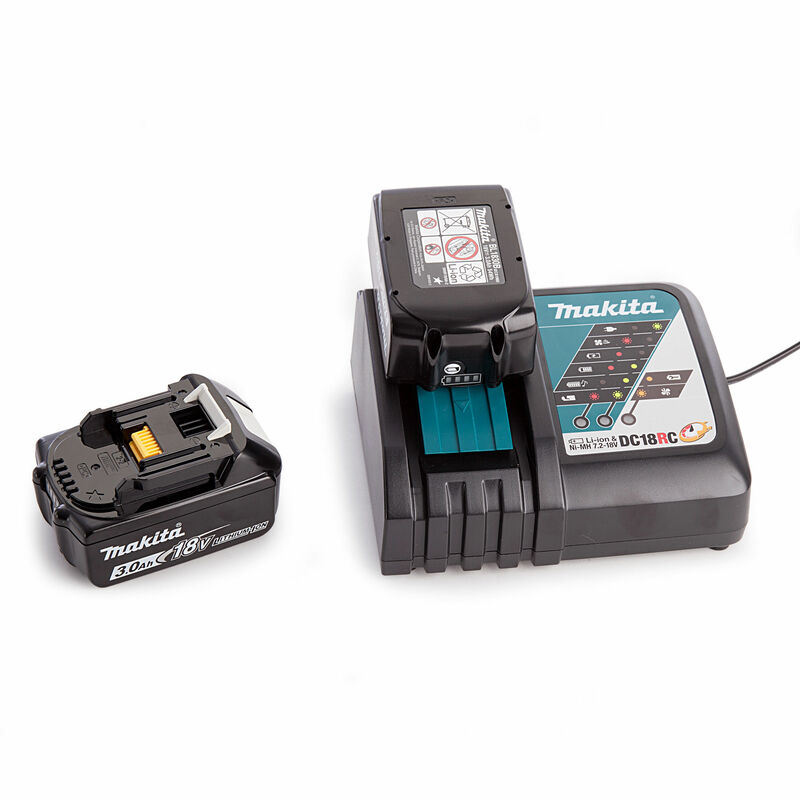 Also included are the DC18RC Fast Charger, two BL1830B Batteries and a Makpac Type 3 Connector Case. 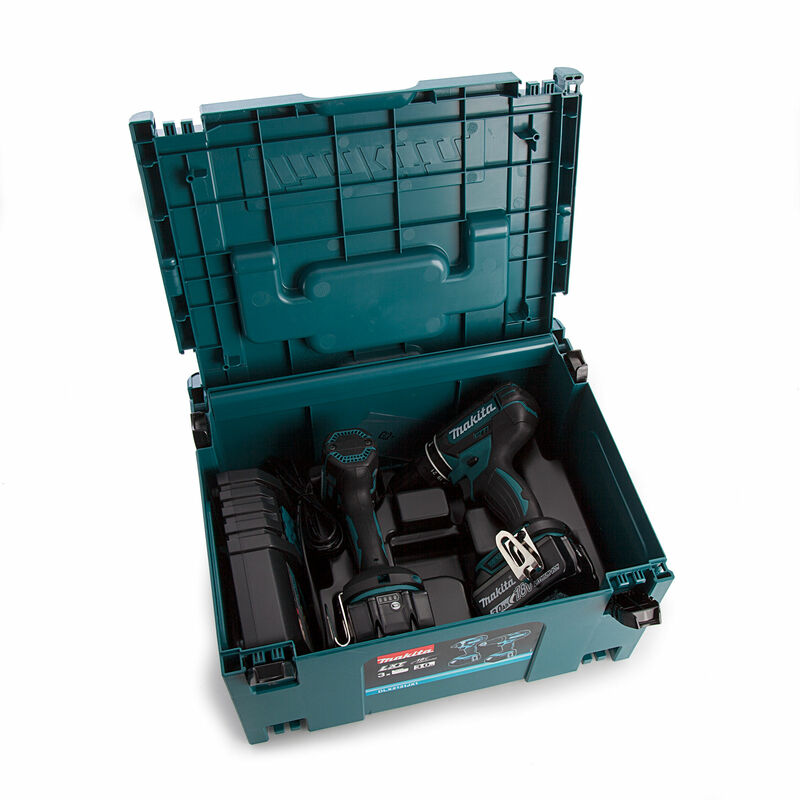 The Makita DHP482 is a compact Combi Drill with a length of only 198mm. 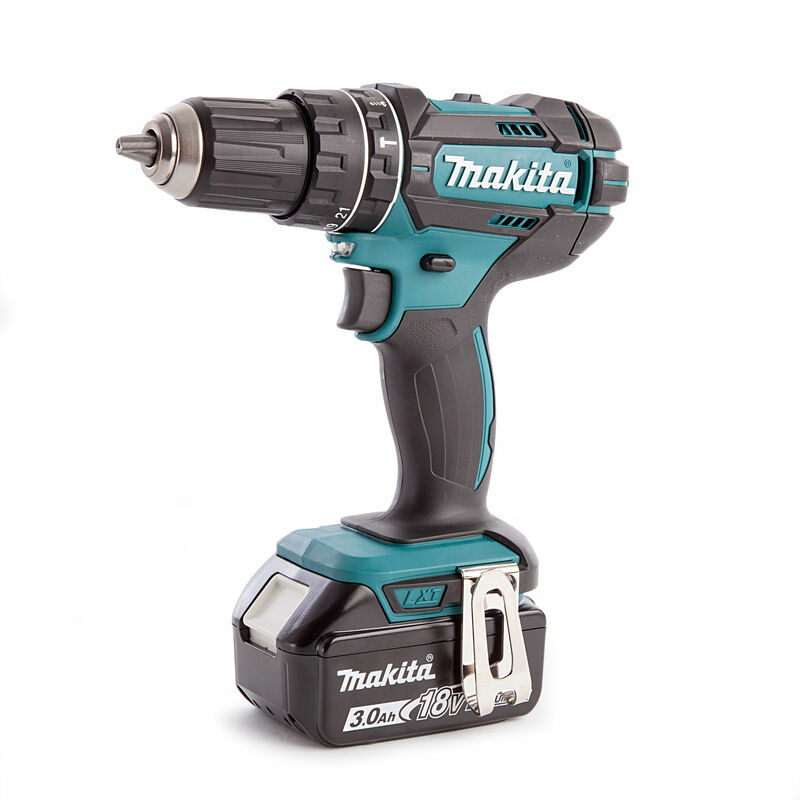 It is packed with features like 21 different torque settings, hammer action and bright twin LED joblights for working in dark conditions. 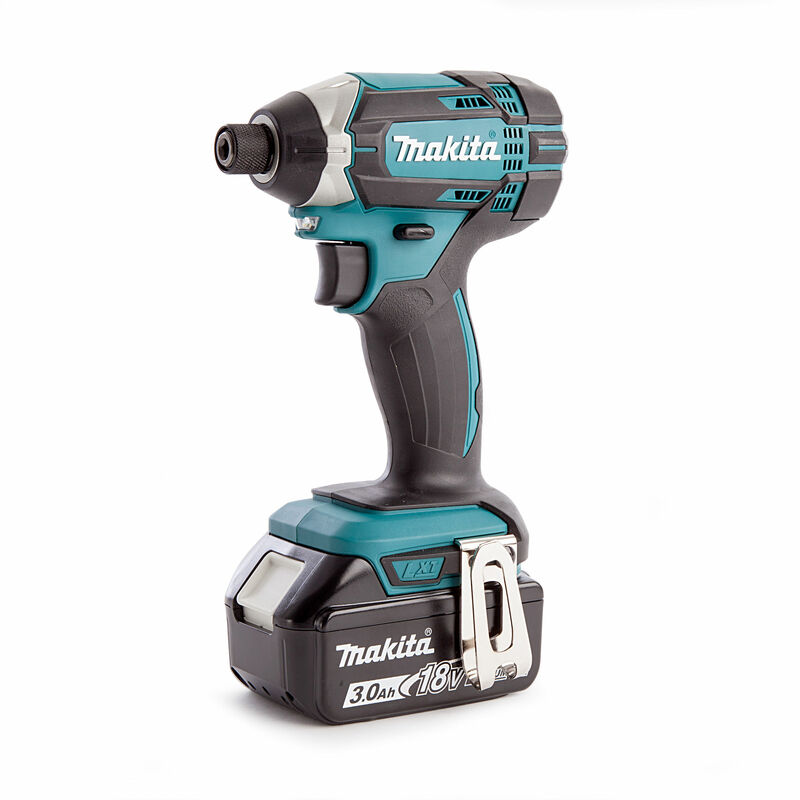 The Makita DTD152 is a small Impact Driver also with twin joblights and a length of only 137mm. Featuring 0-3500 impacts per minute. Both machines have all metal gearboxes for a long life.